New AEG models are shipping now to Authorized Distributors, available this October. October 1, 2018 – Brea, California, USA - KRYTAC® is pleased to announce six new AEGs currently shipping to KRYTAC® Authorized Distributors worldwide. New models include; the KRISS® Vector AEG Limited Edition and the KRISS® Vector AEG Two-Tone, the Trident MKII-M CRB and SPR, the Trident 47, and the War Sport GPR-CC. Only 3000 units of the KRYTAC® KRISS® Vector AEG Limited Edition will be available, worldwide. The Limited Edition model exclusively utilizes the KRISS® Vector GEN II 2017 one-piece upper receiver and Ambidextrous Folding Stock. Beneath the pistol grip is a new extended battery cover. The barrel of the Limited Edition is five inches longer than a standard KRISS® Vector AEG, allowing for a 280mm inner barrel, which offers a slight boost in velocity and range. The longer barrel is surrounded by an all new M-lok modular hand guard. Internally, the AEG is powered by the same vertically oriented mechbox as the standard KRISS® Vector AEG. 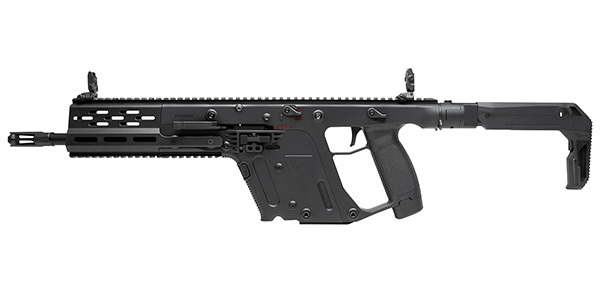 Manufacturer suggested retail price for the KRISS® Vector AEG Limited Edition is $595.00. Another addition to the Vector AEG line up is the KRISS® Vector AEG Two-Tone, which features a Flat Dark Earth lower receiver cover. 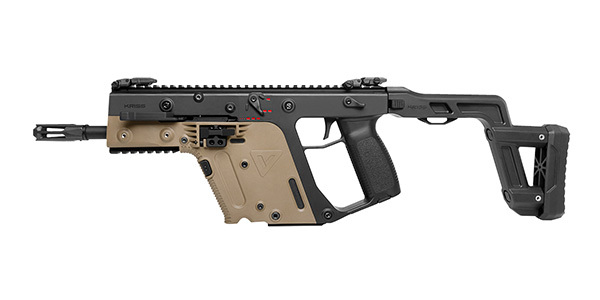 The Vector Two-Tone features the same price and specifications as the black KRISS® Vector AEG, $449.00. The Trident MKII line up is also receiving two new additions with the MKII-M CRB and SPR, M denoting M-Lok. The Trident MKII-M CRB features a DEFIANCE® TR210 M-Lok hand guard, which is 10” long and features four M-lok slots at the 3, 6, and 9 o-clock positions. 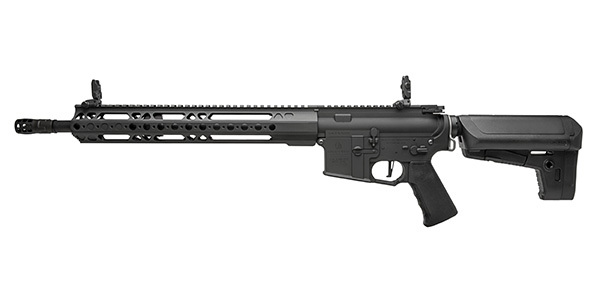 The Trident MKII-M SPR features the TR213 M-lok hand guard, which is 13” long and features six M-lok slots. Additionally, all MKII-M AEGs will feature the DEFIANCE® Low Profile Polymer Flip Sights, which sit just 0.56” above the rail when folded. Pricing and standard features for the M-lok rifles remains the same as their keymod counterpart, $345.00 for the CRB and $355.00 for the SPR. 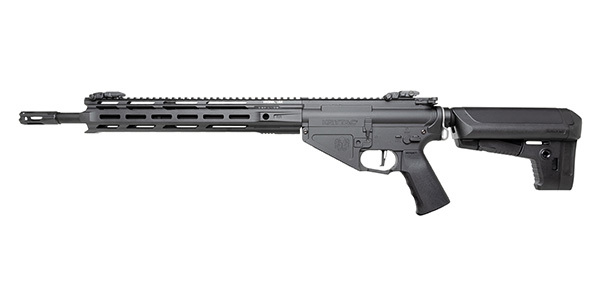 Another expansion on an existing KRYTAC® product line comes in the form of the Trident 47 SPR. The Trident 47 is a unique configuration of the AR-15 with an AK style lower receiver. While all other ergonomic and functions are the same between the Trident 47 SPR and the Trident MKII-M SPR, including the DEFIANCE® TR213 M-lok hand guard, the magazine well is designed to accept AK-47 magazines. Included with the Trident 47 is a 600 round AK-47 high cap. The Trident 47 SPR manufacturer suggested retail price is $365.00. Finally, the War Sport GPR-CC is the latest AEG Officially Licensed by War Sport Manufacturing®. 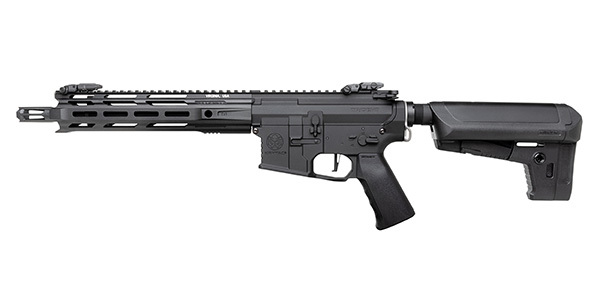 The GPR-CC is the lightweight, suppressor capable, version of the ever-popular LVOA rifle. The GPR-CC features a 13.875” free float rail and 16” threaded barrel, which reduces the overall weight of the GPR-CC and accommodates a barrel extension or tracer unit. Manufacturer suggested retail price for the GPR-CC is $425.00. Deliveries have already begun for new models to KRYTAC® Authorized Distributors, with many accepting pre-orders. To find an Authorized KRYTAC® Reseller near you visit the KRYTAC® Dealer Locator page. For more information about the new products, visit the KRYTAC® website at www.krytac.com.